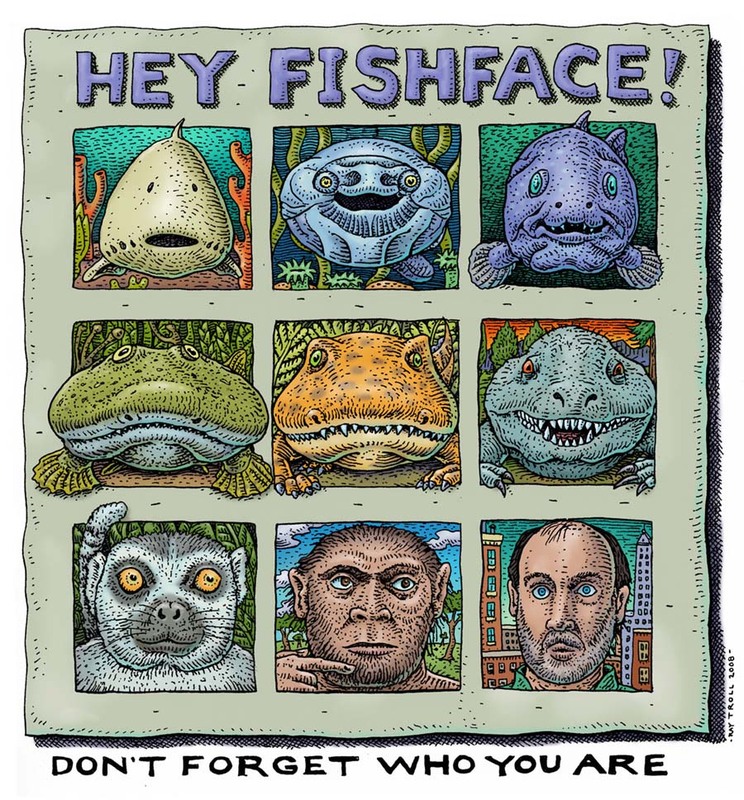 February 12, 2009 is Charles Darwin’s 200th birthday, so get out there and embrace your inner fish folks! 2009 also marks the 150th anniversary of the publication of Darwin’s evolutionary, revolutionary ‘On the Origin of Species’. So it’s a big year for science geeks around the world. To get into the swim of things I wrote a song and recorded it last year with friends at Narrows Perch Studios here in Ketchikan. As usual the musicians took it to a whole new place. Enjoy the MP3 by clicking here. “Just another vertebrate” phrase was how Marion Bonner, renowned Kansas fossil hunter, referred to himself.